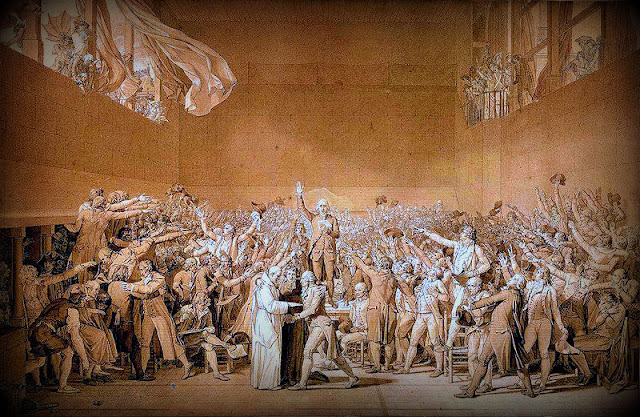 Questions for the French Revolution Documentary; French Revolution Compared to other Atlantic Revolutions; Introduction to the Industrial Revolution. 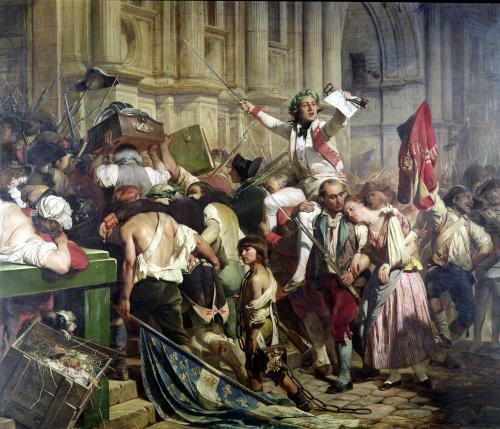 We are watching the French Revolution Documentary and answering the questions in class. Begin working on Industrial Revolution, Chapter 18 - so that you are prepared for the quiz on Ch 18 next Monday. TEST over 17 & 18 is on Wednesday/Thursday Feb. 10th and 11th. 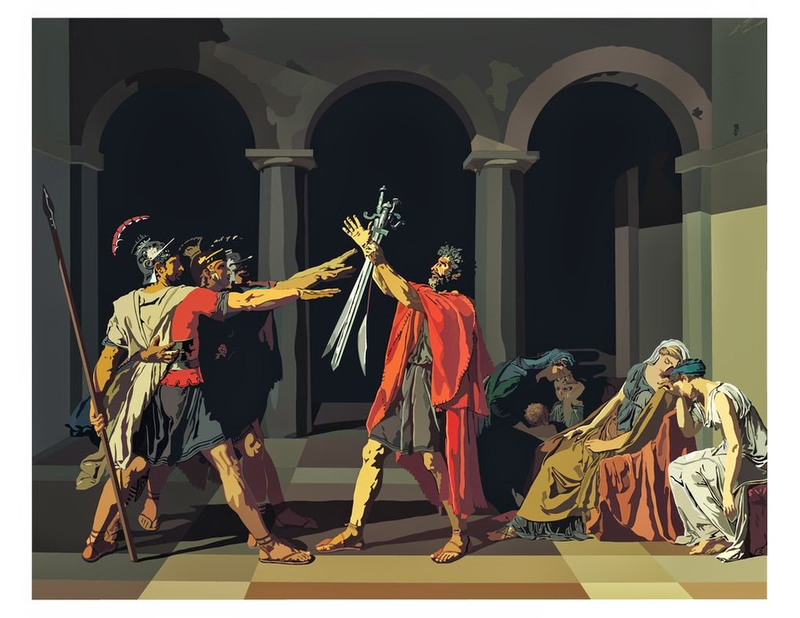 As it still does today, art inspired people of the Atlantic Revolutions, David's Oath of the Horatii - cartoon version. 1. Quiz CH 17 - Reading Check. Students may use hand written notes on the quiz. 1. French Revolution Documentary - answer the questions as we view and we will pause and discuss throughout. 2. 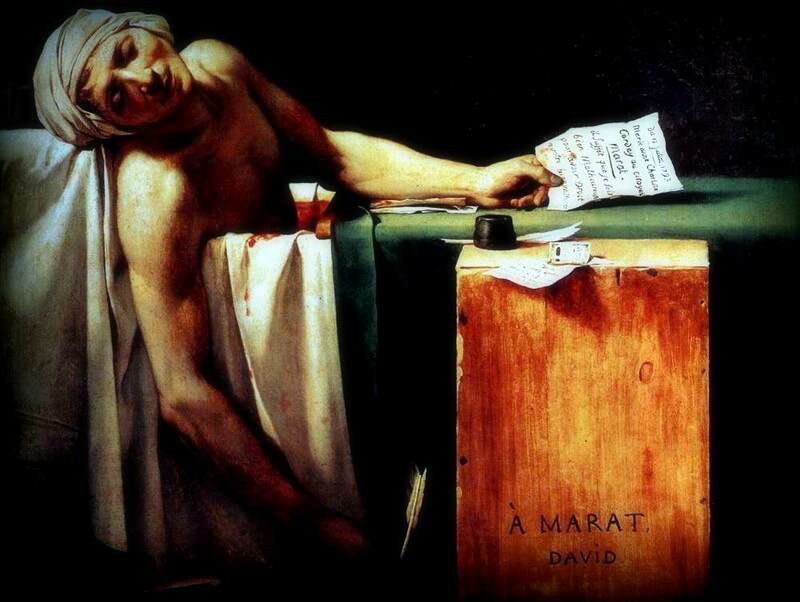 Notes, Video, Discussion: The Art of the French Revolution.